If you are a long-time Twitter user, you remember this image. Getting a Fail Whale meant your post didn't work, or that Twitter was down again! At the time, it was the kind of error message you'd groan over. But a funny thing happened... people started to love the Fail Whale, and missed it when it was gone. I really love this little painting. Besides being an adorable image to look at and fondly reminisce, it helps you to accept failure as part of life, and that sometimes, failure can be fun! 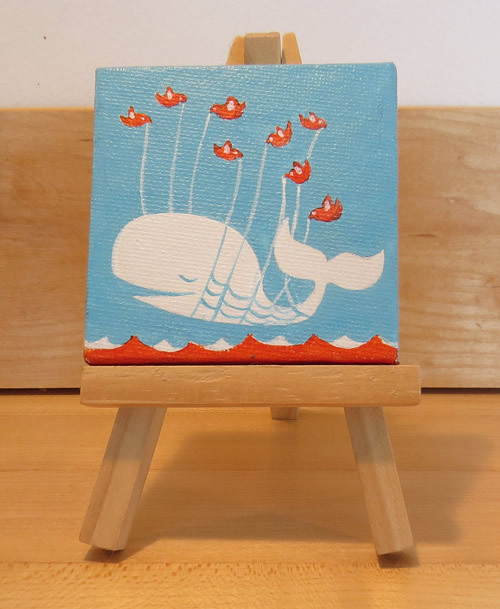 Just look at the those adorable little birds lifting up that whale... I've never seen him happier! He is uplifted by failing. 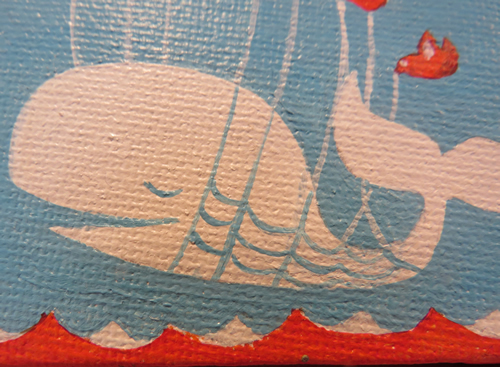 Details: Fail Whale, an original painting, on 2.5" x 2.5" inch stretched canvas over a wooden frame. The painting is about a quarter inch thick, with painted sides, and comes with a wooden easel. The back of the painting will contains the title, the date, Nitrozac's signature, and a fingerprint for authenticity. 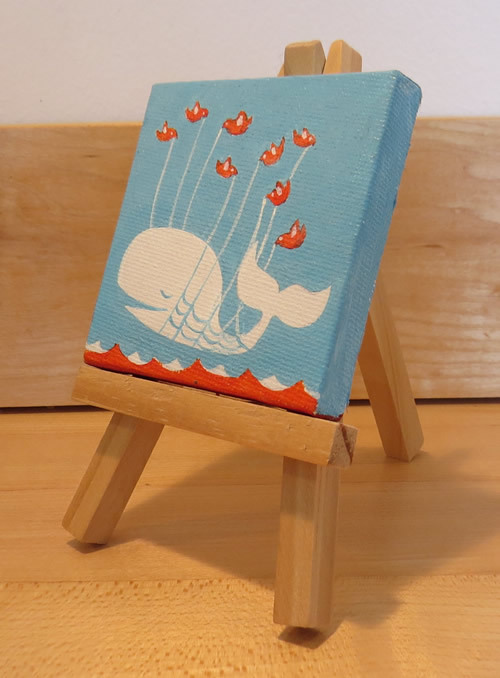 Lift it up and bring Fail Whale home!